There are a variety of investment opportunities available to the common man today. Amongst these the most popular is the currency trade. There are a variety of investment opportunities available to the common man today. Amongst these the most popular is the currency trade. Here, we can either participate as a full time, professional trader or participate occasionally using the market to supplement our monthly or yearly income. Either way there is no particular rule or obstacle that can keep us from participating in the currency trade. In fact, in the last couple of years, it has become increasingly accessible and open to all, as it is available online and remains open every day. The open nature of the business and its ability to pay out in huge amounts has increased its popularity enough to make it the biggest investment market today. The present value of day-by-day transaction of this market is calculated to be $4 trillion (approx). Forex education courses – Various websites which specialize on the subject of foreign exchange provide training programs for novices as well as those who wish to refresh their knowledge. These courses are present online and otherwise, and involve tips and guidance by experts belonging to the field. While in the offline courses you can interact directly with the experts, in the online courses you’re given ample material to educate yourself , and if you have further questions you can get in touch with the trainers virtually too! Forex demo account – After you have educated yourself adequately on the subject, you can have a feel of the market virtually. This option shields you from incurring any first time losses, as you participate in a simulated market without having to risk any money at the first go. A forex demo account is very useful to narrow down on your own specific strategies for investing in the currency market and it also helps to get the required boost in your confidence. There are various sources which offer the software required for accessing such demo accounts, free of charge, e.g. 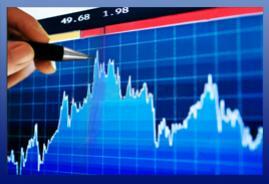 teletrade; it offers the trading platforms Meta Trade 4 or Meta trade 5, free of cost. All you need to do is to download and install the required software and follow the directions for creating your own account. Once you have acquired the necessary practice, you can open a real account and start investing. Such training programs and practice platforms will allow you to gain enough knowledge. So if you have enough confidence in your decisions after using such sources, you’ll be able to participate directly, without involving a forex broker or other expert. However, you must remember that this market requires patience and persistence. So despite all the training, it might be a while before you begin to rake in the profits. Author’s Bio – Tom Clark is a veteran finance blogger. His areas of interest may include forex, investment, stock market etc.